Poetry, Photography, Ekphrasis is a detailed study of the ekphrasis of photography in poetry since the 19th century. 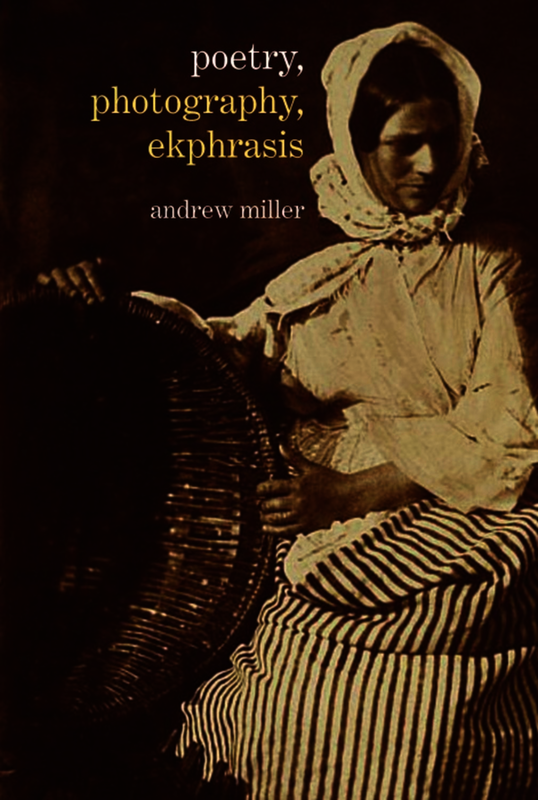 Unlike other critical studies of ekphrasis, Miller’s study concentrates solely on the lyrical ekphrasis of photographs, setting out to define how the photographic image provides a unique form of poetic ekphrasis. Moving between the disciplines of semiotics, visual studies, psychology, classical rhetoric, philosophy and literary criticism, Miller outlines what he defines as the chronotope of the photograph. Employing M.M. Bakhtin’s notion of the literary chronotope, Miller argues that the ekphrasis of photographs manifests itself in a series of chronotopic narratives. Each chapter of the book is dedicated to delineating one of these narratives. In this work, Miller engages in a literary history that follows the timeline of photography from its origins in the 19th century to its contemporary digital manifestations in the 21st. The study engages in close-readings of the works of such poets as Walt Whitman, Lewis Carroll, Thomas Hardy, Seamus Heaney, Marianne Moore and Philip Larkin. In addition, the book does the work of a comparative study, and it goes beyond the limits of Anglophone literature to include the works of such poets and writers as Walter Benjamin, Charles Baudelaire, Bertolt Brecht, Ernesto Cardenal and Zbigniew Herbert. Andrew Miller is a researcher at the University of Copenhagen.